In 1754: Conquest – The French and Indian War, players take on the role of French and British Factions who fought for dominance over the Americas. In this dramatic, light wargame, The French players will either play as the French Canadian Militia or the French Regulars and The British players play as the British Colonial Militias or the British Regulars. Both players can ally and fight with the Native Americans but the French start with more Native Allies., manoeuvring around the board, using your dice rolling and hand management skills to control the most towns throughout the game. Players for each side work together in order to coordinate their strategies. To win, each side attempts to control Victory Spaces on the map that represent towns and forts. 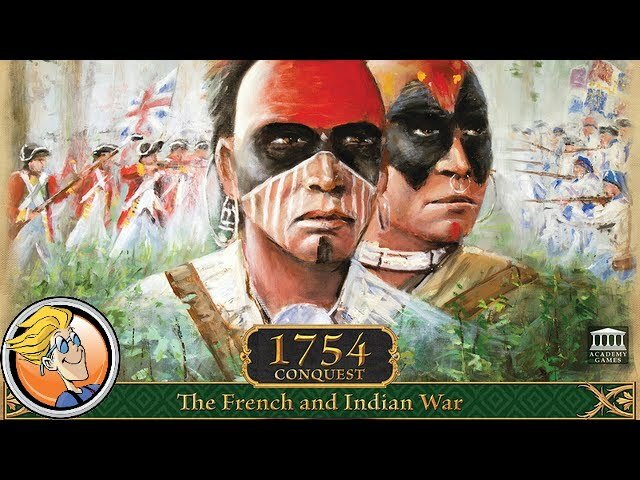 Buy 1754: Conquest- The French and Indian War for a boardgame full of tense, exciting game play and historical flavour.